This article first appeared in The Edge Financial Daily, on April 8, 2016. KUALA LUMPUR: The Auditor-General (AG) identified numerous occasions where 1Malaysia Development Bhd’s (1MDB) management acted without properly informing, or attaining special approval from the board of directors. On top of that, the AG also identified many instances where 1MDB’s management acted in direct contradiction to the board’s instructions. This is especially worrying since most of these decisions involved huge sums of money — more than US$2 billion (RM7.6 billion) in some instances. Beyond that, some of these cases raised questions on whether the management intentionally meant to deceive the board. Take for instance the fact that the joint-venture (JV) company — 1MDB Petro Saudi Ltd — was registered by PetroSaudi Holdings (Cayman) Ltd on Sept 18, 2009, eight days before the board gave its conditional approval on Sept 26. According to the Public Accounts Committee (PAC) report on 1MDB, the JV company was formed on the same day that the proposed JV with PetroSaudi was first proposed to the board. The board also decided that PetroSaudi’s contribution into the JV had to consist of at least 50% cash and the other 50% through assets. In this case, the so-called hydrocarbon assets. However, 1MDB’s management ignored this instruction, and agreed with the terms proposed by PetroSaudi’s Tarek Obaid that allowed PetrolSaudi to contribute its share entirely through non-cash assets. To make matters worse, 1MDB’s board was also not informed of a clause in the JV agreement that states that the JV company — 1MDB PetroSaudi — had to settle debts of US$700 million that had been undertaken by its parent, PetroSaudi Holdings (Cayman). In fact, the US$700 million debts were only incurred two days after the JV was signed. Hence, on Sept 30, when the payment was made, only US$300 million made it into the JV company. The remaining US$700 million was channelled into an account — 11116073 in RBS Coutts Bank Ltd, which belongs to a company unrelated to the project — Good Star Ltd. While the PAC report doesn’t pin down the owner of the Good Star account, it does highlight that the board did not give approval for the transfer of money to the said account. In another instance, several of 1MDB’s directors reported complete lack of knowledge regarding a resolution to open an account in BSI SA, Geneva, on Sept 25, 2009. This is despite the fact that their signatures can be found on the said resolution. In fact, it isn’t only the board that has been kept in the dark. The government, which is the shareholder of 1MDB, paid 1MDB RM1.117 billion for the relocation costs of the Kuala Lumpur Air Force Base (PUKL). However, the PAC report found that the RM288 million that was advanced to 1MDB was not used to pay for PUKL’s relocation. 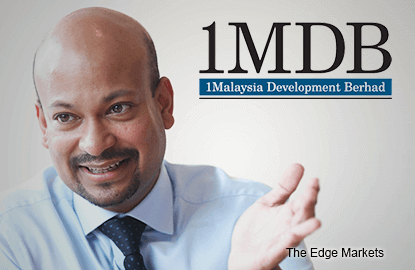 1MDB’s lenders have also been had. The group borrowed RM550 million from AmBank Bhd, with the express intention to fund 1MDB’s share of the PUKL relocation. Although that was the use of funds approved by the board, none of the funds was ever used for that intention. Likewise, the US$3 billion that 1MDB Global Investments Ltd (1MDB GIL) raised was not used by 1MDB GIL, which has the express purpose to develop Tun Razak Exchange. Instead, US$1.03 billion was transferred to other 1MDB subsidiaries and US$1.58 billion was used for unspecified “foreign investments”. On other occasions, the management outright ignored queries and instructions from the board. According to the PAC report, 1MDB’s board had instructed the management to redeem the funds in the portfolio under the segregated portfolio company (SPC) at almost every board meeting from May 2013 to May 2015. Specifically, to return the funds to Malaysia. However, no action was taken by management until August 2014. And when action was taken, the money was still not repatriated back to Malaysia. Instead, the management pledged the redeemed fund units, with a book value of US$2.318 billion in exchange for a loan of US$939.87 million from Deutsche Bank AG (Singapore). “The management of 1MDB did not inform [the board] that the proceeds from the redemption of the investments in the SPC held by Brazen Sky Ltd were pledged to Deutsche Bank; the board was not informed that the payment [from the Deutsche Bank loan] was actually for the Aabar options using the proceeds of the redemption, and the board was only informed [of] the actual amount of the Aabar options payment after the payment was made,” wrote the PAC report. Recall that the Aabar options refer to a set of options given to Aabar Ltd, supposedly in exchange for guarantees that Abu Dhabi’s International Petroleum Investment Co (IPIC) gave 1MDB for the US$3.5 billion in bond issuances via Goldman Sachs. The PAC report also noted that the settlement agreement for the termination of the options was only for US$300 million by Sept 30. The balance was to be paid 45 days after an initial public offer. However, 1MDB’s management paid US$993 million to extinguish the options — far more than what was agreed and without board approval either. Even more perplexing is the fact that the AG found that Aabar Ltd is not listed as a subsidiary of IPIC. “At this time, 1MDB has not been able to produce any evidence that Aabar Ltd is a subsidiary of IPIC or Aabar Investments PJS (Abu Dhabi),” wrote the report. “The AG cannot verify the payment of US$855 million, US$993 million and US$295 million as payments to extinguish the options, and/or as top-up security deposits to Aabar because the supporting documents provided by 1MDB are incomplete,” added the AG. While lack of support documentation does not presume 1MDB’s money has been transferred to the wrong pockets, it certainly does raise some hard questions about management’s involvement in these questionable transactions. In the best-case scenario, it is simply bad record-keeping. In the worst-case scenario, it could be embezzlement of company funds. The PAC report seems to make a strong case that the board has no clue what management was up to. But the sheer scale of the deception also calls into question the potential culpability of the board. After all, ignorance cannot exclude directors from the fiduciary duty that they owe to their shareholders.